Silvassa Agencies and Services Pvt. Ltd.
the foundation including the Mayor of Brent and Councillors from Harrow and Brent. 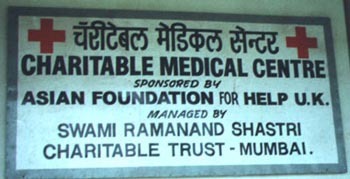 The lottery was in aid of funding for the Lunawala Eye Hospital, which the Foundation has undertaken to build and run in Lunawala, Maharastra. 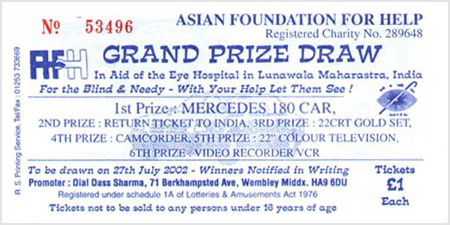 A total of Six prizes were allocated for the Lottery draw, the main attraction being the First prize, a Mercedes Saloon Car C190. a minimum of £ 50,000 after all expenses. 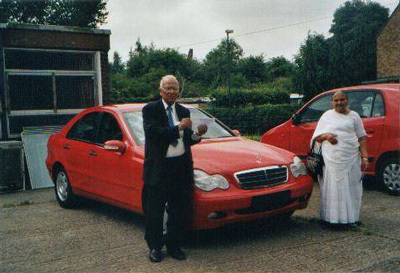 The Chairperson Mrs Induben Mehta and The Secretary Mr Gopalbhai Popat in front of the star First Prize, Mercedes C190. 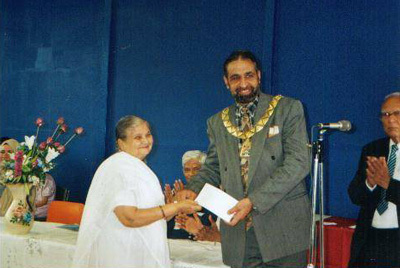 Mrs Induben Mehta presenting a cheque to the Mayor of Brent for the Mayor's Charity. In collecting funds for the blind people in developing countries. In developing programes for the village women in India. For the children by sponsoring their education and educating them on the issues of child labour. 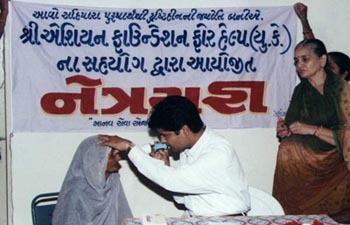 In organising eye donation camps and setting up eye care centres in villages where such facilities are lacking. In Village adoption scheme: where a village is adopted for over all development, a five year program is made and areas of prime concern are decided. Raising funds through various dinners and other programs organised in England and other developed countries. In organising seminars and discussions to raise awareness about the needy in Asia. ASF has a robust programme design, for empowering the poor and to provide them with employment security, food and nutrition security, building of capabilities of the poor through universal security, food and nutrition security, dynamic income generating activities among them. The foundation recently organised a dinner to collect funds for the Eye Hospital in Lunawala, Maharashtra, India. We also announced special lottery in that dinner for the donors.